The N.C. Department of Transportation is proposing to add several local projects to the state’s 10-year construction planning document covering 2020 through 2027. Among the proposals is adding wider shoulders to the two-lane section of U.S. 64 between the Alligator River and Columbia in Tyrrell County, and construction of a second passenger ferry to run between Hatteras and Ocracoke villages. The draft 2020-2029 State Transportation Improvement Program, was unveiled at the state Board of Transportation meeting in Raleigh earlier this month. The roadway safety improvements for U.S. 64 provide 5-foot-wide paved shoulders and a 4-to-6 foot earthen shoulder on each side at an estimated cost of $18.9 million. Right-of-way acquisition would begin in fiscal year 2025, and construction could start in 2027. Proposals to widen the entire stretch of U.S. 64 from Manns Harbor to Coulmbia to four lanes and replace the Lindsey C. Warren Bridge over the Alligator River have been in the NCDOT’s long-range plans for years. But the overall project, which would cost at least an estimated $680 million for 27 miles of four-lane road and a new four-lane bridge, continues to fall short of the STIP’s requirements for funding that were established earlier this decade. A scoring system was designed to more equitably spread funding for projects across North Carolina, based on their statewide, regional or local impacts. Projects that did not score high enough at the statewide level rolled over to the regional level for consideration. Projects that were not funded at the regional level could still be considered at the division level. The highway department says the cascading aspect of the process helps ensure that local input plays an important role in prioritizing projects. Seven projects were included for NCDOT’s Division 1, which covers Bertie, Camden, Chowan, Currituck, Dare, Gates, Hertford, Hyde, Martin, Northampton, Pasquotank, Perquimans, Tyrrell and Washington counties. The department’s 10-year plan is updated every two years. Projects scheduled in the first five years of the plan are considered committed and were not re-evaluated when the new plan was developed. But projects in the final five years of each 10-year plan are prioritized again for consideration in the next plan. The Board of Transportation is expected to consider final approval of the draft plan this summer. “This updated transportation plan confirms NCDOT’s commitment to better, safer, more modern roads across rural northeastern North Carolina,” said Division One Transportation Board Member Allen Moran in a news release. “The new improvements to vital, two-lane highways and intersections will give our residents and visitors easier and safer access to jobs, education and other opportunities,” Moran said. There have been discussions of finding a way to breakdown the U.S. 64 project into stages, such as building a new, two-lane fixed span bridge over the Alligator River first, and then adding the additional two-lanes later. The current estimated cost of a four-lane, fixed span to replace the aging draw bridge is just under $508 million. The first Ocracoke Express is scheduled to begin making runs between Hatteras and Ocracoke on May 14, after construction delays for the 98-person vessel prevented the passenger-only service from beginning last year. The second vessel proposal also includes adding additional parking for passenger’s vehicles in Hatteras, with construction slated to start in 2027. A change was also made to a project needed to upgrade U.S. 17 to interstate highway class, so it can eventually be designated part of Interstate 87, which would connect I-40 in Raleigh and I-64 in Chesapeake. Upgrading two segments of U.S. 17 and converting intersection into interchanges between north of Wiggins Road and south of U.S. 17 Business in Perquimans County will be delayed until 2028 to allow additional time for planning and design. 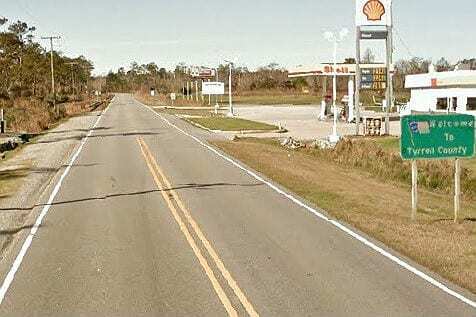 One project accelerated in the draft plan from 2023 to 2020 is improvements on Harvey Point Road between U.S. 17 and Churches Lane in Perquimans County. Other new projects for Division One in the 2020-2028 proposal are improvements for the intersection of U.S. 13/17 and Main Street at the base of the Roanoke River Bridge in Williamston, safety improvements for Newland Road between A Canal Road and Shore Drive in Washington County, and for the two-lane section of N.C. 32 between N.C. 37 and the Virginia state line in Gates and Chowan counties. Construction on all three projects would start in 2027. NCDOT Division One will host an in-house week-long public comment opportunity in February or March during normal business hours. It will be a chance for interested residents to review maps and handouts about projects, ask questions of local staff, and submit comments. There will also be an opportunity for residents to submit comments online, with those details being announced later. Too bad all of the billions of dollars Obama had for the SHOVEL ready jobs vanished!. I was under the impression that the US govt and the Corp. of engineers ere responsible for bridge over rivers that had commercial traffic on the water? I had occasion to return from Raleigh on a summer Saturday early afternoon. There was no traffic slowdown below the speed limit in the 2 lane sections. Four lane land sections would be good to remove the speed traps, but a four lane bridge would be a massive and horrible waste of money! It is a shame that road will never get completed. I guess eastern NC is lucky MB got as much done as he did for us while he was in Raleigh. Hey NCDOT do you wanna build a new Alligator River Bridge or do you just wanna screw around! While I applaud the construction of the 1st Hatteras – Ocracoke passenger ferry I feel that the entire concept is still in the “experimental” phase… No one really knows if the ridership on the passenger ferry will meet /exceed expectations. If the inclusion of the 2nd boat was included to get the “wheels” moving… fine. As long as the contracts can be canceled before construction begins on the 2nd boat IF the ridership on the 1st do not fulfill expectations. One would think that with all of the millions of dollars that the OBX sends to Raleigh, NCDOT would make it easier and faster for tourists to come here and spend their money. Too simple! Maryland made the drive to Ocean City faster and easier from the D.C. area for just that reason. Money!Now, listen if they can do it? Really? As far as the drive on a Saturday afternoon, most people are here after a torturous drive in the morning. BTW, 5 foot paved shoulders will not make the drive any better, nor will 4 to 6 foot earthen shoulders. Built a lot of roads in my former life. It can be done with planning and scheduling. A four lane bridge would have be part of the overall design as that would be a choke point. A disaster? Travel I-95 down to Woodbridge, Va. from D.C. and tell me that the lanes should not be widen. Also, 158 will need to be widen and have deceleration lanes and acceleration lanes built. Carter, you just might be so right! I’m glad to see that the local residents of the OBX have done extensive traffic studies regarding the amount of cars coming and going from the area over the last ten years. They seem to have also studied the amount of tourist that visit throughout the hurricane season and studied the hurricane evacuation routes and determined that more lanes on 64 aren’t needed for everyone to safely evacuate. I assume if you guys turn this information that you used to determine this to the NCDOT they wouldn’t have had to do it all and got it wrong. A traffic study? That makes too much sense. Traffic engineering, where I worked sometime ago, would have had a study already completed with proposals and plans ready to go. The hurricane evacuation issue should make this a priority. It is just like so many problems that never get solved or fixed until a tragedy occurs. They finally “fixed” the traffic light array on Colington Road at the intersection to the high school…after a young woman was killed. One of my co-workers was killed at a dangerous crossing at our building, then they put in a crosswalk with a signal. Complained about it for years! Maybe the E.O.C. for Dare county can help push this resolution along. NCDOT knows that 64 is a problem, but won’t act to resolve the problems.